How many of your guys, are in Adult Day Care? 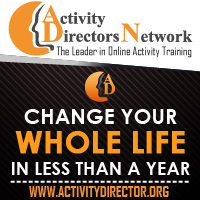 I was wondering if any of the Activity Directors out there have Activity Directors from Adult Day Care in thier Networking Groups? I have been the activity director in our facility-attached adult day centre for 17 years. I work with an LPN, and although we do some joint activities with the facility residents and activity staff, we have separate programs. I work with a mixed population of 12 clients per day and generally have a high proportion of men. One of my challenges is providing suitable activities for such a mixture of people when I am the only activity staff member. Often I have one or two clients with dementia whose behaviour is very disruptive and requires one-to-one intervention. I also usually have a few frail clients with very limited endurance. I am the Activity Director in an Adult Day Program, and I don't even have a networking group. Until recently there have been very few adult day programs in our area. I work in Oak Ridge, TN and there are less than thirty Adult Day Programs in the whole state. I also have a question for Adult Day Program workers - I do quarterly progress notes for all participants, and would like to see what form(s)others are using. Hi Pickles and other ADHC Activity Directors!! I am just using the same form as my assessment, and adding any approaches or d/c-ing any non-effective approaches. I, too, would like to find a good progress note form, though. 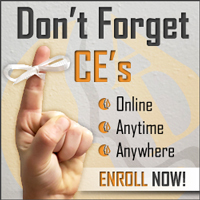 I am in CA and have the same challenge with mixtures of lower and higher functioning clients. I have found that once they all get to know eachother the more functional ones will help others, which is really neat. I'd be interested in knowing about your timings. I am trying to shoot for more active programs then hve a passive one, and alternate like that. Do you guys have breaks in between programs for your charting? I have had this suggested to me, but find that the patients all disperse when we don't keep their attention. Keep up the good suggestions!!! I hope one day I get the chance to work in Adult Day Care it seems like it would be a great learning experience. NCCAP just announced a Specilaty Track for Adult Day Care Activity Directors. Also for Memory Care, Assisted Living and Educator. Check it out! www.nccap.org. Finally a certification for Adult Day care Activity Directors! Good Job! "I'd be interested in knowing about your timings. I am trying to shoot for more active programs then hve a passive one, and alternate like that. Do you guys have breaks in between programs for your charting? I have had this suggested to me, but find that the patients all disperse when we don't keep their attention." Any breaks between programs are usually taken up with one:one. The best time for me to chart is after the clients leave. I have an hour on my own that is used for charting, phoning, shopping, etc. I am the activity coordinator at Page Robbins Adult Day Care in Collierville TN, which is right outside of Memphis. We have around 25 to 35 participants a day. We have a fair amount of men each day......5 to 11. i would love new ideas for them! I work for a PACE site that has ADHC. We have Rehab, Clinic, Home Care, Social Workers, Diertary, Site Manager, Massage Therapy 2X a week, Dentist, Foot Doctor, CNA staff in the Day Center, AD, and Activity Aide all under one roof. Where no longer called ADHC either we are called Day Center. Are you many in the group? Will you please post the people who are working in the adult care? My day program is mostly all men. 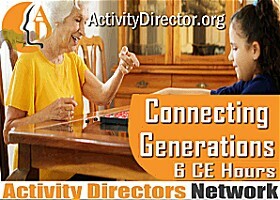 The website, http://www.activityconnection.com has wonderful ideas that includes a section for men's activities. Some things we do are discussion topics about careers, indoor golf (they love the golf game I made from the activity connection website), they actually enjoy cooking projects since many of them were the primary cook in the family, they like to be useful, so pairing them up with those who may function at a lower level can meet this need, we go on outings (i.e., museums, miniature golf, bowling, pool & pizza, etc. ), Wii bowling, small group card games, military topics of discussion and YouTube videos of WWII aircraft, anything to do with old cars, trains, etc., jokes & riddles, current events & newspaper activities... I hope this helps as a start for you. 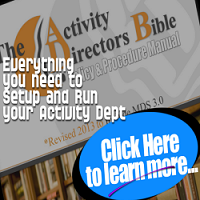 Also, the website, http://eldersong.com has resource books for programming for men. I really enjoy programming for our men. They are so much fun! A new study says that Adultcare and Home Health jobs are the fastest growing industry in the US and that they predict 21% increase in the job market.. 465000 new jobs will be created due to the increase.. I am considering looking into the possibility of working in a day center soon. This concept is really growing in our area. They dont pay as much as a typical Medicare/Medicaid facility. I am working in a memory care unit now, but have interest in this field. We have an Adult Day care but it is very small we only have like 2 residents and they only come 1 or 2 times a week or when they want. Hey we have one. But not many people coming we are slow in that part right now. We have around 62 on our AL and 30 on our Skilled side.